Writer and editor Simon Jacobs has reviewed Beneath the Liquid Skin in Pank’s blog! Thank you so much for writing an eloquent and insightful review of my collection, Simon! I’m lucky to have such astute and well-reflected writer-readers. I very much enjoyed Simon’s articulate and thoughtful review of Liquid Skin. Good to see this collection getting the attention it deserves. Well done! 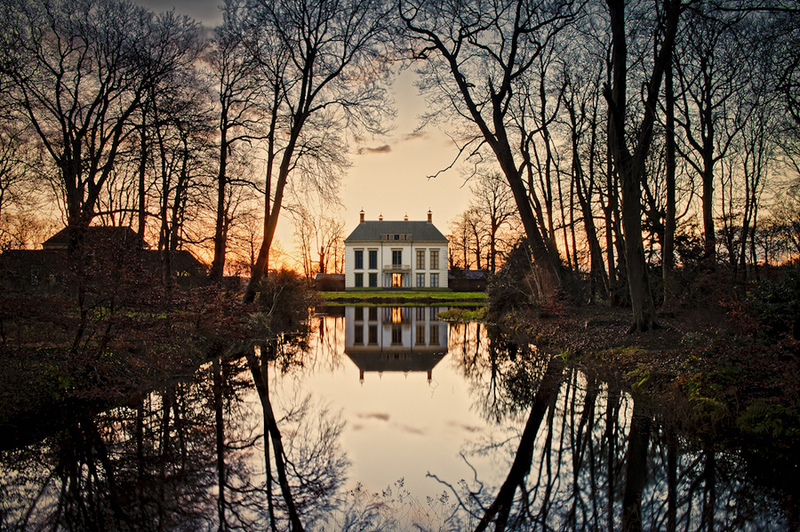 Gorgeous image from Allard Schager! Oh, the light! I just want to enter the scenery. Then again, I wouldn’t want to disturb its perfection. Simon’s and your review are both awesome and wonderful reviews! I’m lucky to have such astute and eloquent writer-readers and reviewers. Isn’t Allard’s photo beautiful and intriguing? Makes me want to write a story about what goes on in that house and that forest. A story about that house and landscape would be fabulous! Hope to read that one day. The photo is so striking. Bordering on the surreal somehow. Makes me think of Magritte’s Empire of Lights. Same here! The Magritte painting was the first I thought of when I saw the photo.